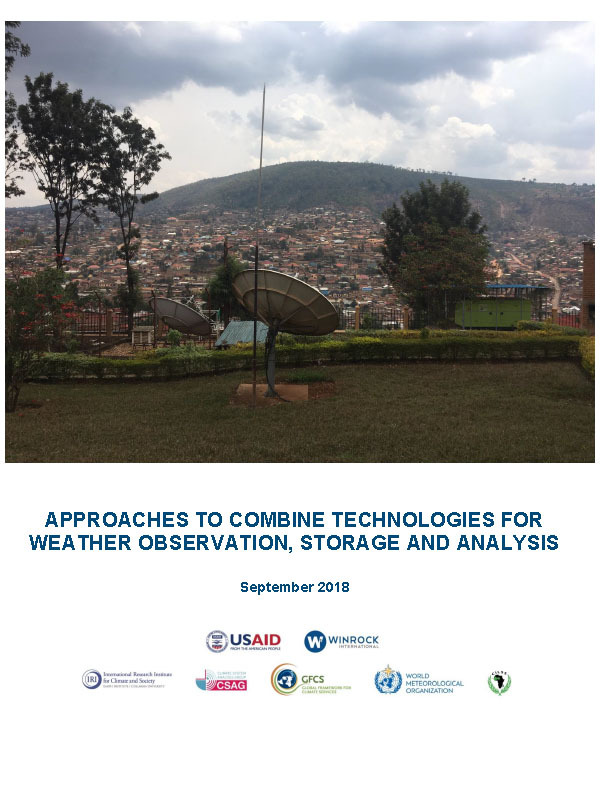 This report explores the optimum use of different technologies and associated issues pertaining to meteorological observation, data management, and data analyses for CIS in sub-Saharan Africa. Key types of meteorological observation, including ground weather stations, atmospheric profilers, lightning detectors, weather radar, and satellite observations are reviewed and case studies are presented that showcase initiatives and innovative technologies. Tools and approaches to data management and data analysis are also discussed. Though a detailed analysis of the cost-effectiveness of different technologies is not offered due to insufficient data, the report offers low-cost approaches to address the challenge of sparse station networks and climate data scarcity.